So says Texas-born country artist Mickey Guyton, who – like many great singers before her – started out singing gospel in church while listening to artists like Dolly Parton, Whitney Houston and LeAnn Rimes at home. She moved to Nashville in 2011, where she eventually struck a deal with Capitol Records Nashville. Guyton’s sophomore EP was just released, and she’s currently finishing her debut album with producers Nathan Chapman (Taylor Swift, Keith Urban) and Dann Huff (Faith Hill, Keith Urban, The Band Perry). On top of that she’s recently toured with Brad Paisley. “He knows how to have fun and he just really engages his audience,” she says. We had a short Q&A with the Rising country singer-songwriter. 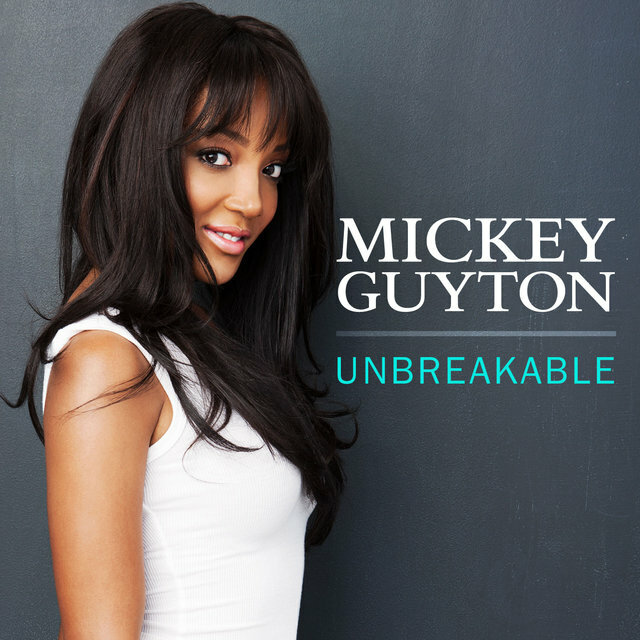 Who is Mickey Guyton? Can you introduce yourself? I’m just a down home girl from Texas that loves country music. I’ve gone through a lot in my life. I like to express that and lift people up through song. Life can get you down sometimes and I want to reach out with music to help others through it. I got into music when I was just a little girl. I started singing in the children’s choir at church. It was my dad who actually discovered that I could sing. You’ve talked about how seeing LeAnn Rimes perform inspired you to become a singer – but who else were your musical heroes growing up? I saw LeAnn Rimes sing the national anthem at a Texas Rangers baseball game when I was eight or nine years old. I fell in love with her voice and wanted to be just like her. I just loved and still love powerful women voices. I loved LeAnn Rimes, Martina McBride, Faith Hill, LeAnn Womack and now, I feel the same way about Carrie Underwood. There have been a lot of artists that have changed my perspective on music. I love those artists that are willing to be really brave and honest with their songwriting. Dolly Parton has been an inspiration to me from the beginning. She is just so true to herself and she is an amazing businesswoman on top of that. You’ve recently been touring with Brad Paisley – what did you learn from seeing him perform? He knows how to have fun and he just really engages his audience. It’s not easy to engage that many people all at once and he does an amazing job of making sure that everyone is involved. What does the perfect day look like for you? I’ve been living out my perfect day everyday lately, honestly. Being able to live my dreams and share that with my friends and family, I have been so lucky. Make sure to spend every moment with my family and friends. Also, make sure my fans know how much I appreciate them allowing me to live my dream out. I think that I would still work in the music industry, honestly! I would want to work with developing artists to help them to grow and evolve with their music. And finally, if your music was a car, what type would it be? It would be a red 1965 “Pretty Little Mustang.” My music is all about being confident and strong and to me, that’s what that car symbolizes. Plus, it’s just a pretty freaking cool car.